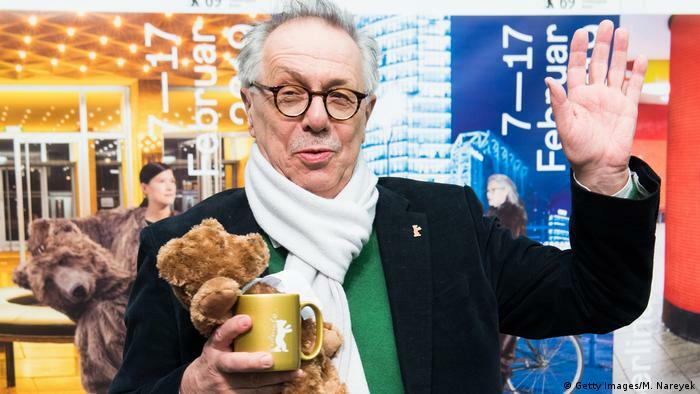 After the Berlinale 2019 Dieter Kosslick takes off his hat as festival Director. 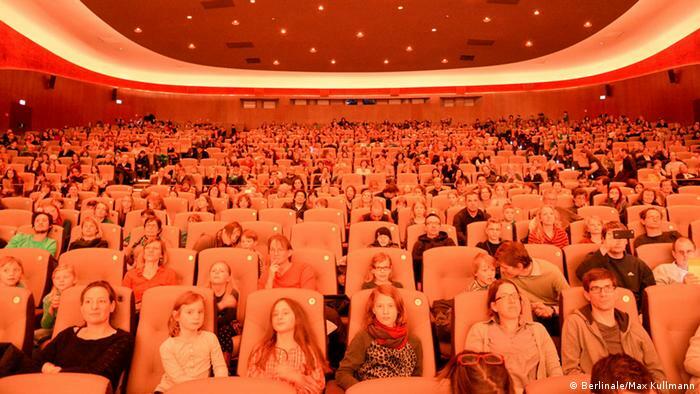 He formed Germany’s biggest film festival in a sustainable way. In a DW Interview, he looks back and remembers the highlights and bitter moments. DW: When you look back on almost 20 years of the Berlinale, the big question of course arises: What is left? We start with the festival Director. Three short questions and three short answers. 1. Your most beautiful encounter? Dieter Kosslick: My most exciting encounter. in any case, the Rolling Stones in the Berlinale Palast with the world premiere of their movie “Shine a Light” by Martin Scorsese For me as a former guitarist of the rock band The Meters is a highlight. And your most difficult case? Difficult the Moment, as I with Patrice Chéreau, the stairs in the Hyatt Hotel went down for the presentation of his Film “Son Frere” (Silver bear for Best Director in 2003), a story about Aids and death. And in front of the Restaurant in the Hyatt, Daniel Toscan du plantier, the representative of the French film industry, just a heart attack and succumbed. This was a really sad Moment. Her greatest moment of Happiness? As I opened the Palace with my not-quite-one-year-old son Fridolin at the Zoo-the youth film section, “Generation”, he was asleep me in the Arm. When I took him to the stage and talked into the microphone, he woke up and saw 1000 children staring at him and cheered. That was a happy Moment to see this many kids and to have one in the Arm. The Similarity of the film festival with a circus you can’t be dismissed out of Hand. You are now the Ringmaster with the whip, or rather the tamer? I see myself as a democratic tamer. I work with many people and let them also work independently. But, of course, a need to stall, the nose, the head or the ears, the responsibility to decide and the thing to propel forward. The am then I often. It has always been a sporty competition between the major Festivals, between Berlin, Venice and Cannes. Anyone who has had their term of office, the nose in front? In the case of the hundreds of movies that you are responsible for, ask: What is actually for a festival Director a good movie? There are certain criteria and yet there are different understandings of what is in the program. This is, of course, discussed for a long time. But there are films like “a Separation” by Asghar Farhadi (Golden bear in 2011), or “Taxi” by Jafar Panahi (the Golden bear 2015), there is no discussion. As you know, this is a good movie. 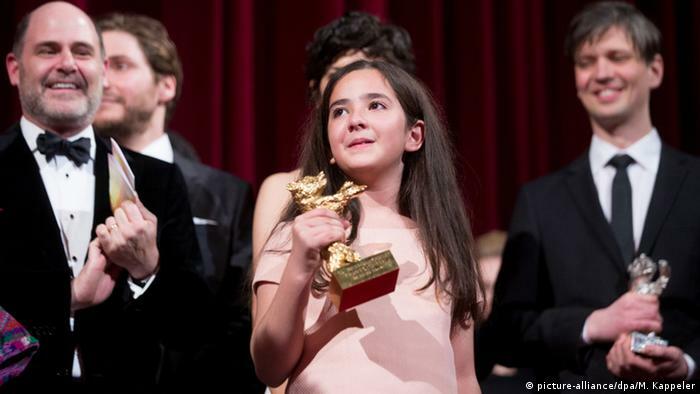 Moving ceremony: The niece of Iranian Director Jafar Panahi, Hana Saeidi, 2015 the Golden bear for “Taxi”. But you can’t sit with the screwdriver and the meter stick in the movie theater, and a Film measured. It is very subjective what people find good and what is not find people well. This can be seen at the front Desk. I’ve always felt once the audience obliged, of course, not all films we show. But since we are a public festival since 1951, it was for me the most Important thing is to present to the people the cinema, it makes them fun, and a click in the heart and head triggers. You travel all over the world to watch movies. What is the perception of the German Film international? Is there still spoken about Directors like Fassbinder and Herzog? Or has this changed? Yes, Cooper is spoken in any case and the Duke, because he still makes movies. In America, he is a big Star. Also, the Berlinale has helped to make the German cinema is known, because we had every year in the competition, German films. A total of more than 50 German films in the competition. Often they also won the Silver and Golden bears. This means that the international Jury gave the German films are competitive. As you have taken the 2001 Berlin film festival, was the Festival’s already established and world-famous. If you look back – how has changed the Berlinale? It is enormously become much bigger, the audience has almost tripled. Almost 340,000 visitors to the festival will have bought this year a movie ticket. Then economic components have been added, such as the film market, co-productions, the co-operation with the book fair. And it’s target audience were made to appropriate programs such as the “Forum Expanded”, where we opened ourselves to the art. Or to the food and the Ecology with our “Culinary cinema”. It is also funding programmes have been developed, such as the “Berlinale Talents” or the “World Cinema Fund”, which we use to support worldwide very successful movies. The festival will run then not only with us at the Festival in Berlin, but also in Cannes and in other film. 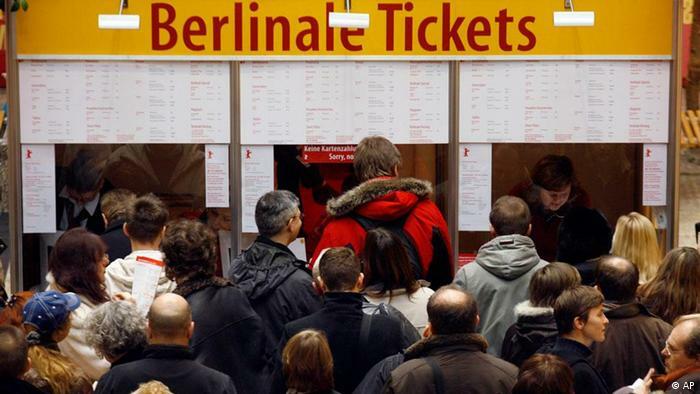 Historically, the Berlinale, always understood himself as a political Festival. What are the biggest social and political challenges of their time? Earlier, the East-West conflict was to the wall. And then she fell. Here, it was shown at the Berlinale in Eastern European cinema and Asian cinema. That was the earlier time. Our challenges were a bit different. We had to do with the war in Iraq, with the Invasion of the Americans in Iraq. It was also awarded a political Film: “In This World” by Michael Winterbottom (the Golden bear in 2003) – a refugee from Afghanistan, has made it to London in a coffee shop. There were a lot of challenges. During this time, the globalization has got completely out of joint. We have pointed out time and again with films that you can’t advertise on the one hand, free movement of goods in the world, but if people want to move freely across borders, then “asylum tourism”. These were the topics during my time. And then the increasing radicalization of the right-wing scene was added: the right-wing radicals who are getting stronger. Also, since we have tried with the movies on these obstinate, eternally Yesterday’s. What is the future of the movie – in these days of Netflix and home theater? What is your opinion, continue to be the great power of the cinema? Because of the enormous changes. Our guidelines for the Berlinale, at least for the competition are clear. There is: The cinema evaluation must be provided, otherwise we can not play this movie. That is to say, companies such as Amazon, the produce similar to Netflix, make a pre-evaluation at the cinema. Then we can show these movies in the competition, otherwise. It will definitely change something in the future. But the cinema will not die. I am now too long, and the cinema, there are only quite a long time, namely, soon 120 years. The will remain. The only question is, who operates the cinema and whether or not Netflix will one day be the largest provider of art house films and big films. This is a big question of how film festivals and behaviour that are dependent on these movies. At the Moment we are in the transition period. On 7. February 2019 starts the last Berlinale under their direction. What do you do when all the hoopla has settled and the last Berlinale-the guest is left? Then I’ll drive into the Bavarian mountains and faste. After that, I will be not only in the stomach but also in my head so that I can begin a new life. I am looking forward to. 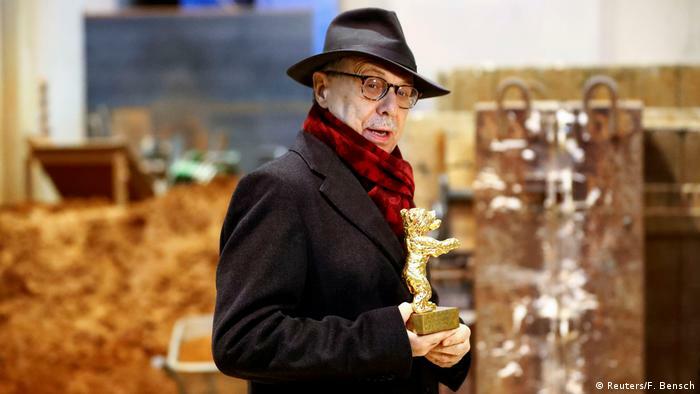 We wish you all the best and of course a wonderful last Berlinale.